So a few weeks ago, I did a Four on Friday about BOOK HOOKS. That got me thinking about what is inside the book. Obviously, the best part is the story itself (hopefully!!) but I love when there are extra surprises. It is like getting a Chick-fil-A with an extra pickle or a piece of cheesecake with an extra dollop of whipped cream . . . can you tell that it is lunch time? It is something beyond the expected. Here are four BOOK BONUSES that get me particularly excited. I love when an author puts in a genealogical tree to show how all the characters in a story are related, especially when it goes back a few generations. Now, I am not talking about a “cast list.” Honestly, if an author has to put a list of characters and who they are at the beginning of the book, there are either too many characters or they aren’t well represented in the story and that just does not bode well for the book. A family tree is especially interesting when a story covers several generations or the plot references back to previous generations. I love to see how all the characters are inter-mingled and related and appreciate that “a-ha” moment when I get how everything works together. I love, love, love maps!!! Seriously, in a previous life, I think I was a cartographer on a sailing vessel that traveled through uncharted territories. I am a visual person and a map helps me to see where the characters are and where they are going. I think it can help clarify the plot and move the story along if the reader can visualize the progression of movement of the action by looking at the locations on a map. Deborah Crombie’s Kincaid/James novels always have a map on the inside cover of the book for the particular part of London in which the story is based. It is also helpful to have a map when an author creates a fictitious land: John Flanagan’s Rangers Apprentice series includes maps to show the reader the layout of the countries. And of course, who doesn’t love Tolkien’s detailed maps of Middle Earth. As I read a lot of historical mysteries and novels, I enjoy when an author includes the research behind the events in the story. C. S. Harris does an amazing job with her Sebastian St. Cyr books as she relates the events to the history and the politics of the time. Her protagonist has a unique ocular condition – not going to explain it, you must read these books!! She detailed in one book the science and history behind the condition; it was fascinating. I think the historical and research background really adds depth and credibility to the story. It is one thing to have a great plot, but when that plot is interwoven into real historical events, the circumstances and conflicts that the characters face become much more real. If you haven’t figured it out yet, I have a bit of a quirky sense of humor. I love when authors title their chapters. Erin Hart’s Nora Gavin series includes lines from Irish folklore and history and Darynda Jones’ Charley Davidson chapter titles are sayings found on t-shirts. I love when an author can have fun with the story but also create even more anticipation by having unique chapter titles. My all-time favorite has to be Rick Riordan’s Percy Jackson books. I mean who does not want to read “just one more chapter” when the title is “We Take a Zebra to Vegas.” Any wonder why I can’t put books down!? How about you? What book bonuses trigger your fancy? This entry was posted in Four on Friday and tagged author notes, Book Bonuses, c. s. harris, Darynda Jones, Deborah Crombie, Erin Hart, family trees, J.R.R. Tolkien, John Flanagan, maps, Rick Riordan on March 18, 2016 by kvgaughan. Pathologist Nora Gavin comes to the Irish midlands when a well-preserved body is discovered in the bog. The man’s remains indicate that he was the victim of an ancient pagan sacrifice because of multiple wounds on his body; the Triple Death is evident by his strangulation, the slit of his throat, and the spikes driven into his arms. Also working the site is Ursula Downes who seems antagonistic towards everyone and happens to have had a former relationship with Nora’s boyfriend, Cormac Maguire. When a second body is found in the bog with similar Triple Death markings, the research team is excited but then horrified. This body can’t be ancient because of the wristwatch on the victim’s arm. Cormac Maquire also arrives on the scene; he recently inherited a cottage located close to the excavation site from an old friend. It provides Nora a place to stay and give Cormac and Nora an opportunity to work on their relationship. Nora’s sister was brutually murdered five years ago and the killer was never found; Nora still struggles with finding the clues that will put the killer behind bars. Detective Liam Ward struggles with the case as it brings back memories of his own wife’s suicide. Owen Cadogan, the site manager, is angry about Ursula’s rejection of him after a relationship the previous year. Charlie Brazil, a local beekeeper, is haunted by his uncle’s disappearance and his father’s ailing health; he is also a local pariah because of his eccentric behavior. With all the secrets and mysteries of the players, an aura of both violence and desire pervades the excavation site. When new body is discovered, not in the bog but in a bathtub, accusations and tempers fly. Cautiously Nora and Cormac must work to find the answers to all the deaths before the body count rises again. This is the second Nora Gavin book I have read and I enjoyed it just was much as the first one. The author does a fabulous job at blending ancient deaths and modern deaths. She shows how the motivations for murder really haven’t changed over the course of centuries. I love the psychological analysis and the varying characters’ viewpoints as she plots through the story. So often secondary characters are there just to support the main characters. Hart develops her secondary characters in such a way that the reader feels that they could have a story of their own. Underlying the entire story is the relationship between Nora and Cormac. I really found that I enjoyed these two characters even more with the second book and I am really rooting for their success. As an outside observer, the reader can see the fragile balance of each of their own demons and their shaky, but meaningful, relationship. I really, really hope they make it! 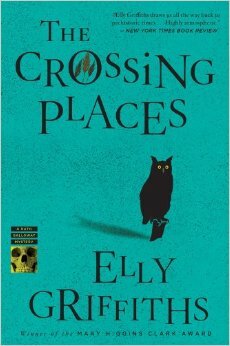 Once again, the second book in the series plays on the idea of a modern day gothic mystery. The blend of contemporary science and pathology with the atmospheric Irish countryside and customs of the ancient inhabitants of the land creates a mood of suspense and intrigue. Although the series is classified as contemporary, it really has a timeless feel. 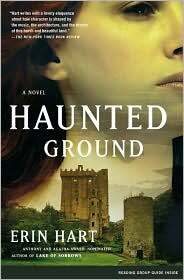 If you liked Erin Hart’s first book Haunted Ground, you are sure to like this one. The characters are developing in both their personal and professional experiences while being involved in a completely new story. I recommend reading the first book before this one if you haven’t already. 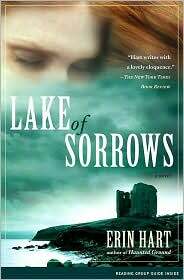 This entry was posted in Book Series and tagged Erin Hart, forensic archaeology, forensic pathology, Ireland, Lake of Sorrows, mystery, Nora Gavin, pagan rituals on October 26, 2015 by kvgaughan. A local farmer discovers a perfectly preserved head of a young woman with red hair as he is cutting turf in an Irish peat bog and the rest of her body is nowhere to be found. Irish archaeologist Cormac Maguire and American pathologist Nora Gavin are invited to the scene to preserve the evidence. Because of the acidic bog environment, it is difficult to say how old the head is – two years or two centuries. Nora and Cormac work together to discover who the young woman was and how her head wound up in the bog; was it murder or execution and why. But, it is not just the red-headed woman whose mystery needs to be solved in this remote part of Galway. Two years earlier, the wife and young son of Hugh Osbourne, a local landowner, vanished without a trace. When Nora and Cormac are invited to Hugo’s estate, Bracklyn House, to make an archaeological survey of his land in preparation for creating a workshop that will demonstrate and sell traditional crafts, they are able to see Bracklyn’s inhabitants in close quarters. Hugo’s cousin and son live in the house; the mother and son seem to each be hiding from their past and are antagonistic toward the visitors. Brendan McGann, the peat farmer who discovered the severed head, and his brother, sister, and niece all seem to be fighting demons of their own. When vandalism and threats arise, Detective Garrett Devaney defies orders from higher up and combines his investigation of the severed head with the Hugh Osbourne’s missing family. Nora and Cormac become involved in both investigations as their archaeological findings produce evidence for both mysteries. As they keep searching, their discoveries and inquiries begin to unravel the secrets of the bog, both its immediate and ancient past. This was an amazing gothic mystery. I loved how the author told the story of really three mysteries: the one of the red-headed woman, the one of Hugh Osbourne’s missing family, and the one of the lives of the current residents of Bracklyn House and its surrounding town. The interweaving of the stories told all in present time was a different style that many mysteries that involve the past and present, and I really liked how it kept all the action and intrigue engaging and fresh. The story is steeped in history and atmosphere but is offered in a very modern presentation. I loved the homage paid to Irish lore and music throughout the novel, and the author’s descriptions create a very suspense and haunting feel. I especially liked the characters of Nora and Cormac. The author presents knowledge of their occupations – archaeologist and pathologist – with great forensic detail; however, the terminology and procedures are blended so well with the plot line that the novel never feels too technical or overbearing. The forensics add to the realism of the story and how the truth is believably discovered. Nora and Cormac also have their own histories and ghosts from the past that are brilliantly interwoven in the plot line. Their relationship builds on both a mutual attraction and an appreciation and drive for the truth. They are quite likable and relatable characters. I also enjoyed how the author began each section with a quotation from a seventeenth-century historical source and a description of conditions in Ireland during the Cromwellian resettlement. It was fascinating to see the lasting impact of the historical events. Excavation details and plot drawings also help the reader to visualize both the past and present locations in the story. 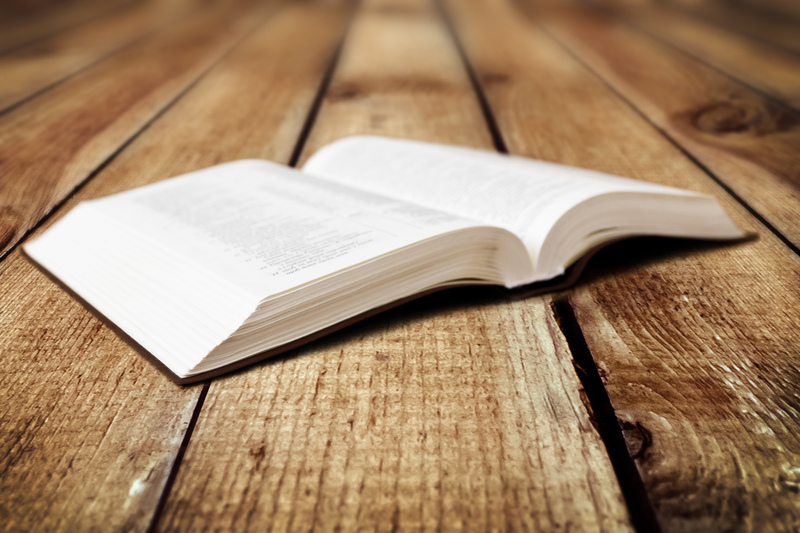 There are a number of factors that would draw readers to this book. The wealth of Irish history and atmosphere create an engaging setting for the mystery; I felt like I could almost smell the peat burning and feel the mist on my face as I read. For mystery readers who enjoy a bit more forensics and detective work than is found in cozy mysteries, this book provides a multi-layered story where there is more than one mystery to be solved. Finally, the gothic suspense of the story-telling style reminds me a bit of Simone St. James’ stories. Haunted Ground relies more on the scientific function of detective work but creates an atmosphere where science and history and the unknown all collide and must work together to solve the puzzle. I really enjoyed the book and am looking forward to reading more. When I discovered the series, I mistakenly purchased book 4 — don’t you hate when that happens — but am thrilled that I enjoyed the first one so much that I want to continue reading the rest. The author only releases books every few years and currently there are three more in the series: Lake of Sorrows, False Mermaid, and The Book of Killowen. This entry was posted in Book Series and tagged Archaeology, Erin Hart, Forensics, gothic mystery, Haunted Ground, Ireland, Nora Gavin, Pathology, peat bog on September 16, 2015 by kvgaughan.